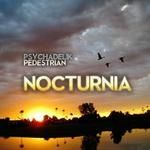 Psychadelik Pedestrian follows his [album artist=Psychadelik Pedestrian]Transient[/album] LP with this 11 track album which includes 9 brand new originals and a new remix of Cosmos. 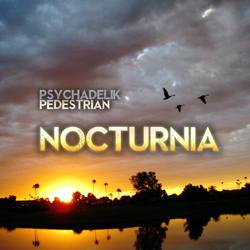 Blending Psychadelik Pedestrian's trademark mix of instrumental piano, strings, breakbeats, old school ambient jungle and strings with contemporary dubstep and chillout grooves, the album features two vocal tracks alongside the more traditional instrumentals and builds elements from Psychadelik Pedestrian's earlier tracks with the electronic synthesized sound of Transient. Catch My Fall combines the powerful vocals of Sassygal with mellow backing harmonies by SackJo22 and ventures into an uplifting pop dance sound similar to Upside Down. Empty Lines is a slightly slower track featuring the beautiful tones of MyVanillaWorld accompanied by slightly melancholic piano chords. The instrumental tracks explore the many genres of electronic music produced by Psychadelik Pedestrian over the years while keeping a strong focus on melody, and cover a wide range of emotions from the delicate, reverb-coated piano chillout of Raindrops and soaring, atmospheric pads of Flight Of The Geese, to the sinister dubstep of Cyberstalker and ominous, eerie In Suspense. A variety of influences lie behind the tracks in the album: the title of Fifth World, a drum and bass track with spaced out, new age riffs, is a subtle reference to the end of the 13th b'ak'tun of the Mayan Calendar which occurred while the track was being written in 2012, while Telford Court is a throwback to PP's university days and features a 1990s breakbeat influence. Flying by Sassygal: http://ccmixter.org/files/Sassygal/37897 and Breathe the Sun by SackJo22: http://ccmixter.org/files/SackJo22/38077, used under a Creative Commons licence.